MADE uses the M4P approach to bring about systemic change. M4P provides a tool for looking beyond symptoms at the root causes of why markets are not working for the poor. By targeting the root causes, the gains delivered by MADE are likely to be larger and more sustainable than those conventional programmes. M4P programmes aim to facilitate change brought about by capable actors from within the system. MADE, as facilitator, remains out of the system. In this way, when MADE ends, its activities and outputs need not end with it so outcomes are more likely to be sustained. In order to motivate actors to bring about change, M4P encourages implementing partners to understand the incentives of other market players. Armed with the knowledge of what motivates capable actors, MADE catalyses their forces to undertake interventions that will deliver large scale impact and address underlying market dysfunctions. M4P works across public and private sectors, whichever has capable actors that are can address the root causes of market failure. It thus avoids unhelpful dichotomies. It does so, however, without resorting to the type of support that requires continued subsidy which is unsustainable. So, in the Ghanaian context, where public agencies are under-resourced, applying the concept will make MADE focus on finding private sector players with the incentive to provide public goods and/or developing PPP arrangements. M4P is concerned with market outcomes, not simply supporting a few innovative businesses. So, unlike other donor programmes that target particulars as their partners, MADE is not associated to individual enterprises. On the contrary, it will work to crowd in sufficient businesses to change market outcomes, and it will also learn from it in the process through the use of robust monitoring systems. Following in-depth analysis of every market sector, M4P addresses crucial bottlenecks in the value chain. When critical bottlenecks are addressed, they enable change to occur up and down the value chain. The market diagnostics conducted at the inception phase have helped the MADE team to identify the bottlenecks enabling it to focus its attention and resources on catalytic interventions that will trigger change across the whole system, delivering large impacts. M4P recognises that markets are unpredictable, and that there is a need for programmes to respond to changes in market conditions. A flexible and adaptive approach is needed. MADE started off with a series of small pilot interventions and, learning from experience, has abandoned failures, scaled up successes and responds to new opportunities as they arise. Recording the process is crucial in order to ensure continuous information loops are created: our approach is backed by a strong M&E and knowledge management system. Through partners, MADE raises awareness of market trends and communicates to smallholder farmers that the use of modern technology will help them take advantage of them. 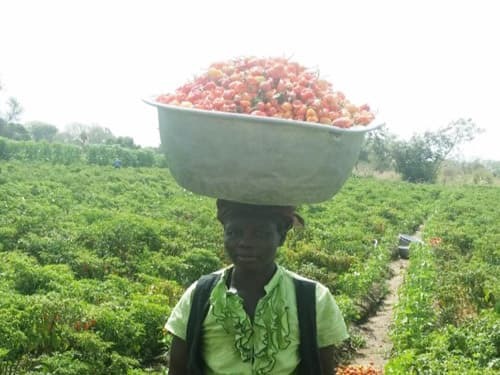 Input suppliers and buyers have an incentive to train farmers to maximise the benefits of using their products (input suppliers) or to produce the products they need (buyers). MADE provides a platform for market actors to collaborate. 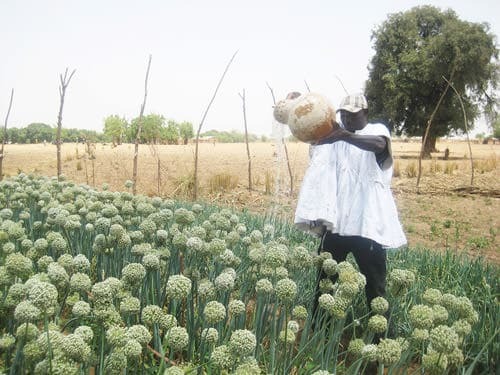 Due to lack of knowledge, the demand for modern agri-inputs (such as seeds or fertiliser) is underdeveloped in the North. MADE facilitates investment by major buyers, suppliers and aggregators to develop local supply. In general, the growth of MSEs has been neglected by donor programmes even though they are the major non-agricultural private sector employers in the North and their success is crucial for the development of competitive, efficient markets and promoting entrepreneurship. Through our BDS intervention, MADE targets MSEs that play a crucial role in markets.